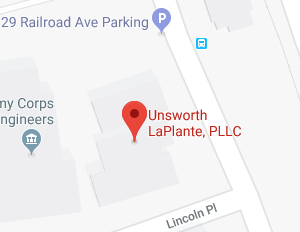 Thanks for visiting this page to find out about Unsworth LaPlante and our deep connection to the Burlington, Vermont area. It’s really hard to know where to begin when running down the superlatives. Generally speaking, the city is on just about every list that tries to determine the best places to live in the country. This says a lot, but there are some specifics to share. If education is important to you and your family, Burlington is certainly going to be appealing. It is a true college town, home to the University of Vermont, and Champlain College. This dynamic keeps the town young, informed, and full of creativity and fresh ideas. It is big enough to provide all of the things that cities have to offer with a population of over 40,000, but at the same time, it’s small enough to feel a sense of community. The Burlington area is also a nature lover’s paradise, with hiking trails, ski slopes, biking trails, world-class fishing, and just about anything else you can think of that can be done in the great outdoors. Stephen Unsworth has Vermont running through his veins. He is a native son, and he has made an enormous impact within the estate planning community in his home state. Stephen is a Vermont Bar Association member, and he is also a Chittenden County Bar Association member. Stephen is a practitioner, but he is a local legal educator as well, so he is plugged into the collegiate network here in Burlington. He has taught at Champlain College and the University of Vermont. In his spare time, Stephen does a lot for the Burlington community. He is a Past President of the Essex Rotary Club, and the Salvation Army is also very important to him. Ellen LaPlante wasn’t born in Vermont, but is proud to call it home. She is on the board of the Vermont chapter of the National Association of Elder Law Attorneys, and participates in community groups such as the Vermont Elder Resource Group. She also holds continuing education seminars that are attended by legal professionals throughout the state. On a more personal note, both of her children go to school in Burlington so she gets to spend a lot of time in the city. We live during an era when people are forced to deal with impersonal entities when they are looking for goods and services. There are national chains that dominate the landscape, and there are also countless merchants and service providers that can be engaged over the Internet. As a local Burlington area estate planning law firm, we look at things in a different light. Our relationships with our clients are highly personal, and we genuinely care about the people in our community. When you work with our firm, you are working with a neighbor. Our goal is to build long-term connections with the clients who we come into contact with, because estate planning is an ongoing process. We can be there for you now when you are devising your plan, and we can also help your family during the estate administration phase. Our firm can make sure that each person on your inheritance list is provided for in accordance with your wishes. In addition to this, we work to preserve your legacy so that taxes or long-term care costs don’t consume everything you would like to leave to your loved ones. You can’t just fill in the blanks on a one-size-fits-all form to plan your estate effectively. It’s not about paper; Estate Planning is about families. Each family is different from every other, and your objectives may not be consistent with those of the next person. If you work with our firm, you will go forward with a tailor-made plan that is ideal for you and your family, and you will feel comfortable every step of the way. We offer free initial consultations, and we would be glad to answer your questions and start to build a relationship so that you can go forward with a comprehensive plan that is perfect for you and your family. 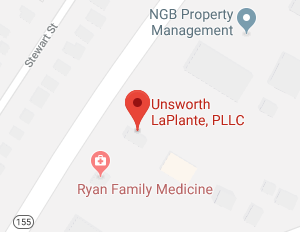 To set up an appointment, give us a call at (802) 879-7133 or send us a quick message through our contact page.